When we think of accessories, we tend to lean towards shoes and purses. We’ve gotten used to the belt being more about function, but it can certainly be about fashion too. That’s where the statement belt comes in! 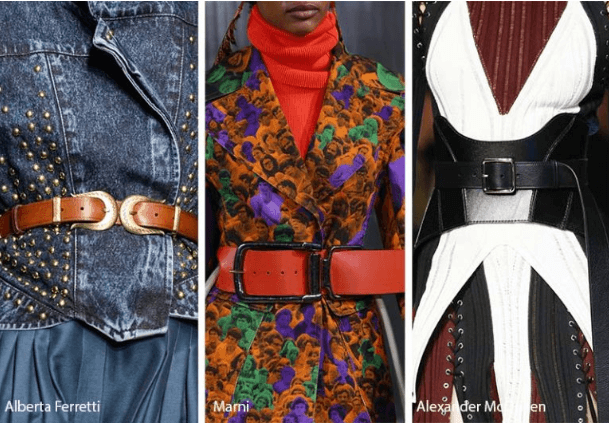 A statement belt isn’t a new trend (hello 2008), but it’s come a long way. A black belt used to be a must-have for cinching a white blouse with leggings (very Kim K), but the statement belt trend can be given the modern twist. And it’s not just about the wide belts either! 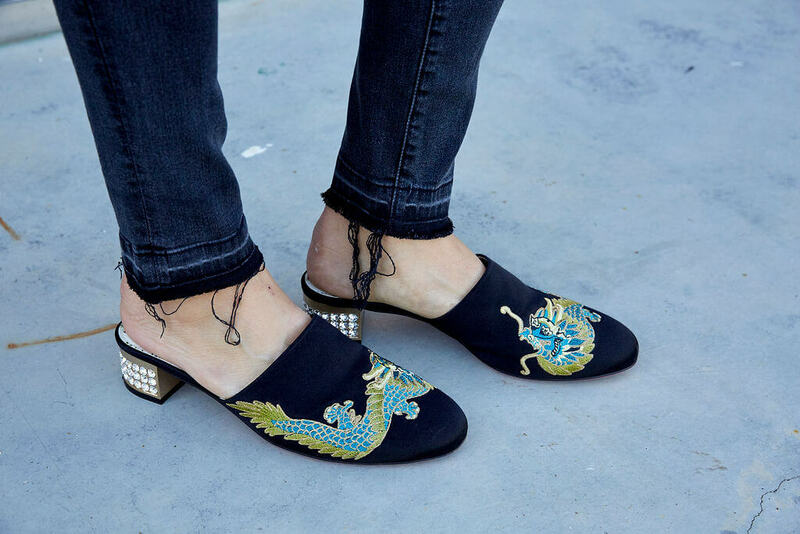 This flashy trend includes shiny buckles, elaborate designs and belts that are tied. There were a few versions of belts this season, and it seems like you really can’t go wrong with any belt choice you decide to go with. ‘Hardware belts’ were seen as the updated and industrial spin on the classic belt. Whether it was chunky or thin, this kind of belt, as seen with Alberta Ferretti, Marni and McQueen. These stunning belts upscale the mood and are a truly sophisticated look. There’s something about adding a belt to an ensemble that doesn’t just pull everything together; it also adds some sophistication. It’s such a great way to refresh an outfit that you’ve grown dull of! Getting creative in the closet is great for your style, and your bank account. If you really dig the cinched waist look that was big in the 00s, there’s no reason you can’t still rock it. The belt honestly becomes a much more comfortable corset, really letting you play with your proportions as you layer up. Want to step up the style factor? Instead of layering the belt on the typical shirt, try it with a dress! Or if you want to make the look a mix of preppy and polished, use a thinner or chunky statement belt layered over a structured blazer. Since jumpsuits are already having a moment, and for good reason, you can mix it up and add a belt that you already have to try a new silhouette. If you’re not afraid to show your fierce side, you don’t have to let the statement belt be the only shining accessory. A patent belt paired with patent boots will have you looking like you just walked off the runway, which is never a bad thing.